Each year since 2012, the award has been presented to VIPs (Volunteer in Parks) who most exhibit characteristics of leadership, enthusiasm for the projects and services they perform, and for their willingness to promote volunteerism with others. Cunningham will accept the award on Tuesday, April 9, at 3:30 p.m. during the monthly meeting of the HPD Board of Park Commissioners at Oakwoods Nature Preserve’s Richard S. “Doc” Phillips Discovery Center. Cunningham is receiving the award because of her involvement in refurbishing the Shank Lake fishing pier at Oakwoods Nature Preserve after HPD staff determined that the existing structure should be dismantled and rebuilt. Bill Patch, HPD Park Operations Manager, reached out to Liberty-Benton High School and its FFA program. Cunningham notes that the students who worked on the fishing pier still comment on how exciting it is to be fishing off of the pier that they built. “We've also had a lot of community members reach out to us to tell us how awesome they think it is that we were able to create something that an entire community gets to enjoy. The purpose of the VIP Program is to offer opportunities for county and area residents to give personal time and offer their special talents to supplement the HPD staff in providing quality programs, maintaining parks for public use and preserving natural areas. The Charlie Meadows Award is named for the park district’s first volunteer coordinator. In 1982, Meadows was instrumental in launching the Helping Hands program to get people involved in the parks. 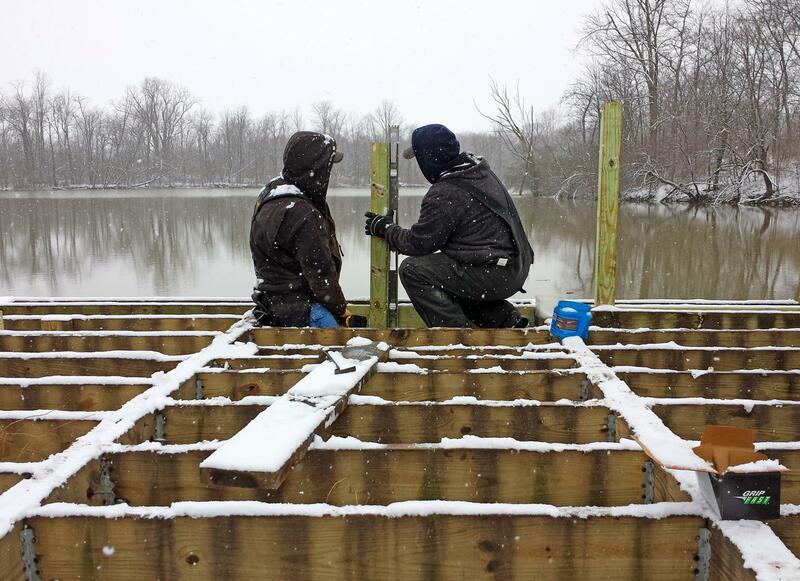 Oakwoods Nature Preserve is located at 1400 Oakwoods Lane, off CR 144, west of Findlay. For more information about other upcoming park programs and events, view the HPD Seasonal Program & Event Guide at www.HancockParks.com under the “Park News” section, visit our park “Calendar” or call the park office at 419-425-7275.